Shop online for 7 rotary power tool collets / mandrels at discounts up to 23%. This is Dremel's 1/8" Quick Change Collet. 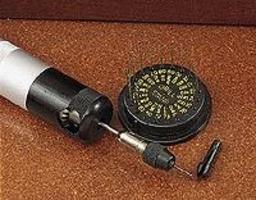 This is Dremel's #401 Mandrel.